I received complimentary products to provide this review. I received no monetary compensation. All opinions are my own. 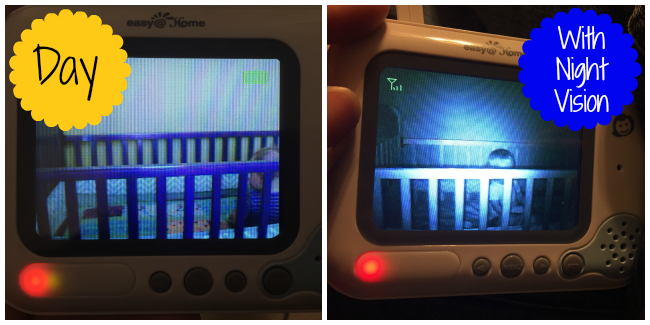 I mentioned on Facebook how I was looking for another video baby monitor so I could keep an eye on each kiddo. 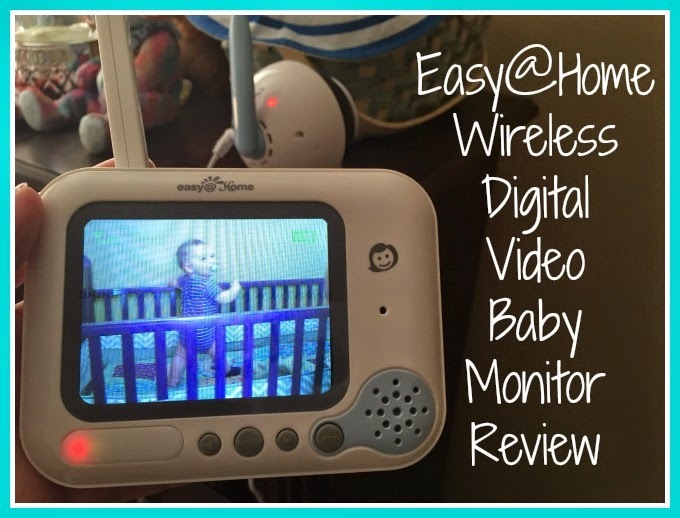 So when I received the opportunity to review the Easy@Home Wireless Digital Video Baby Monitor, I jumped all over it! It has a 3.5 inch full color TFT LCD Screen and Infrared Night Vision. It has 2.4 GHz wireless FHSS encryption that provides high quality vision with secure transmission and a range of 656 feet! Edited Stock Image because I was too excited when I opened it. I found that set up was SUPER easy with this monitor. I have another video monitor that is not as user friendly. I just pulled everything out of the box and when I turned the receiver and camera on, they connected automatically. 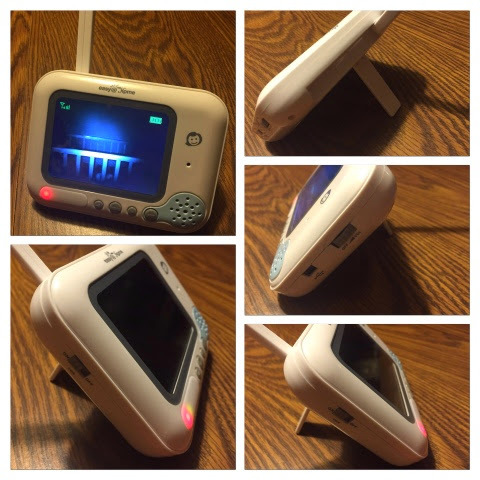 This monitor has a VOX mode which allows you to turn the video monitor off when baby is safe and sound (I don't have that on my other monitor), but will illuminate and make noise if baby does. The first night I didn't use the VOX mode (because I didn't know what it did) so I thought the battery didn't last very long, but using this mode conserves the battery and I was a lot happier with the results. My other monitor doesn't have night vision like this one does. My other one is basically a night light (which my daughter couldn't sleep with a light on), this one has night vision so no disturbing your baby. I like that it can be hung on the wall, placed on a shelf, or clipped to the crib for younger babies. I like that there is a clear indication light that tells you it is on and you can also change the volume (that you can see) as I have sensitive ears. I like that you can pivot the camera to exactly the right position. I feel like I have peace of mind with this baby monitor since it is so easy to use and I can still see my baby clearly without any frustrations. 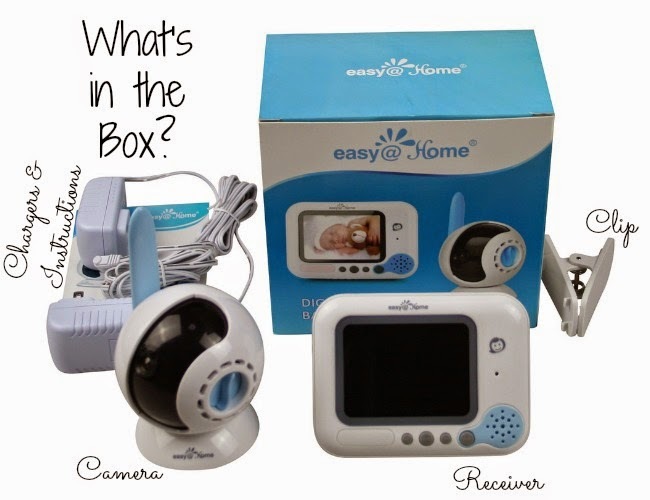 I have included the Easy@Home Wireless Digital Video Baby Monitor in my upcoming Ultimate Baby Shower Gift Guide because it makes a GREAT gift for the expecting parents. Buy it now or on Amazon below! Please make sure to follow Healthcare-Manager.com on Facebook or Google+ to stay up to date on upcoming products! Do you have digital video baby monitor? What do you think of this one? I received complimentary products to provide this review. I received no monetary compensation. All opinions are my own. This post contains affiliate links. Thanks for posting the review with all the great pictures. This sounds like a wonderful gift for expecting parents. My daughter would need it and I have just shared it with her. Thanks for sharing. This would have been great to have when our kids were smaller. I didn't have video on my monitor, but this looks great! Thank you for the info. I will pass it along. 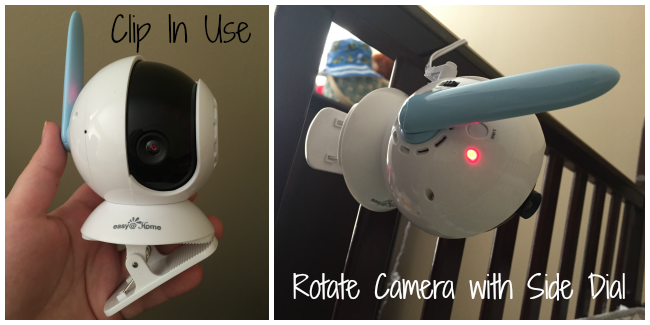 Looks like an awesome camera/baby monitor! I wish they had fancy dancy monitors like this when my kiddos were babies. So cool! The best they had when my kids were babies were audio monitors.